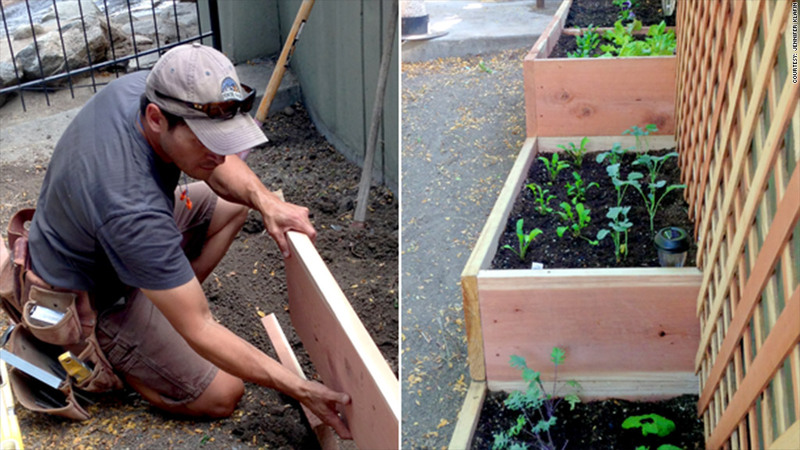 CorpCROP built an herb and vegetable garden in Boulder, Colo. The produce is used in the cafe's dishes. Krysia Zajonc started Local Food Lab in 2012 as a "mini MBA" in food business. Founders of food companies learn how to put together a marketing plan, draft legal and financial agreements and fine-tune pitches. The six-week accelerator operates out of San Francisco but just launched a three-month virtual program. It doesn't take an equity stake but charges a flat fee between $300 to $3,000. Before joining Local Food Lab, Jennifer Klafin worked as a software manager in Boulder, Colo. Her startup CorpCROP helps employers implement organic gardening as part of a corporate wellness program. Local Food Lab gave her the confidence to pitch her first customers. "I really captured their attention, and I owe it to Local Food Lab," Klafin says. Valley Girl Foodstuffs: Teaches at-risk teens culinary cooking skills and farming. Hungry Globetrotter: Recipe subscription service that sends customers ingredients and recipes from a different region each month.